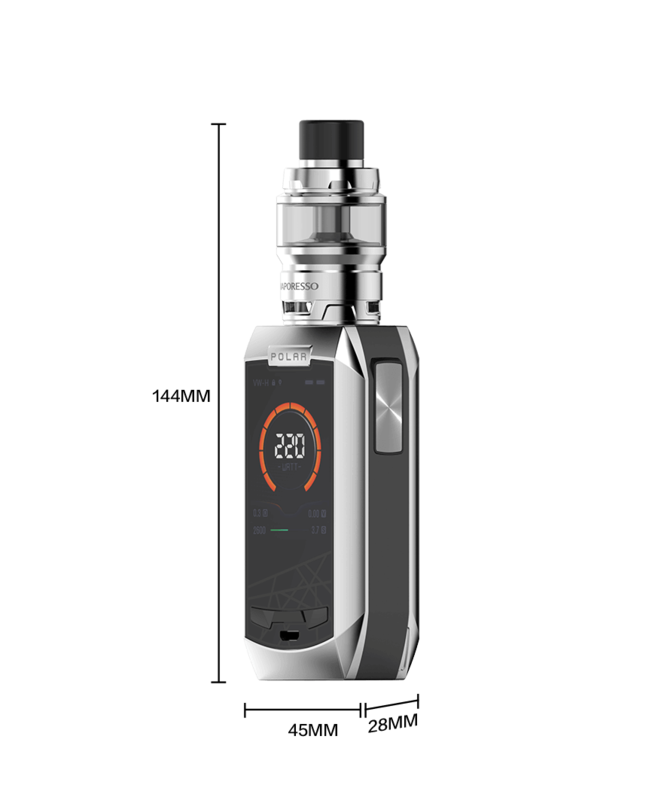 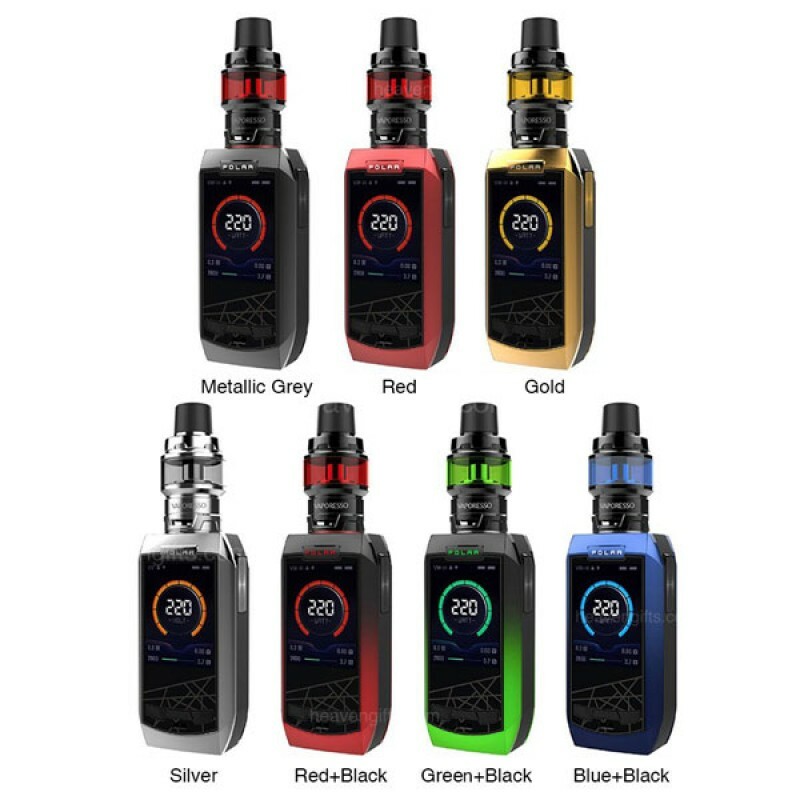 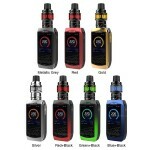 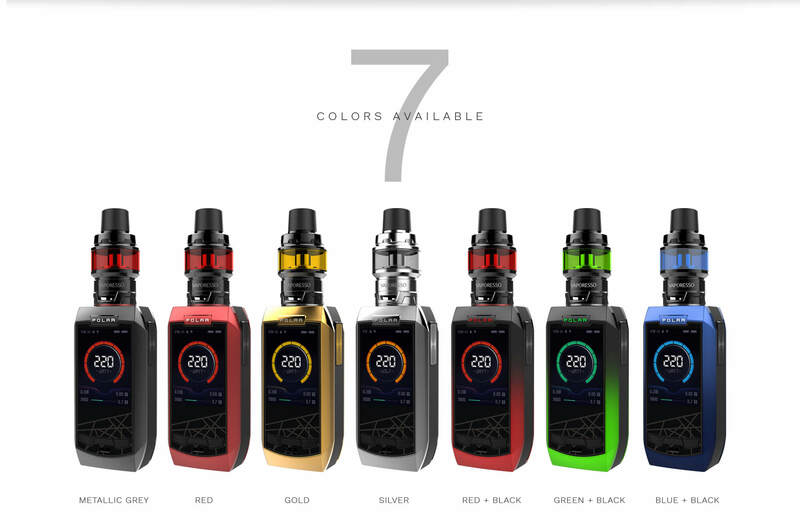 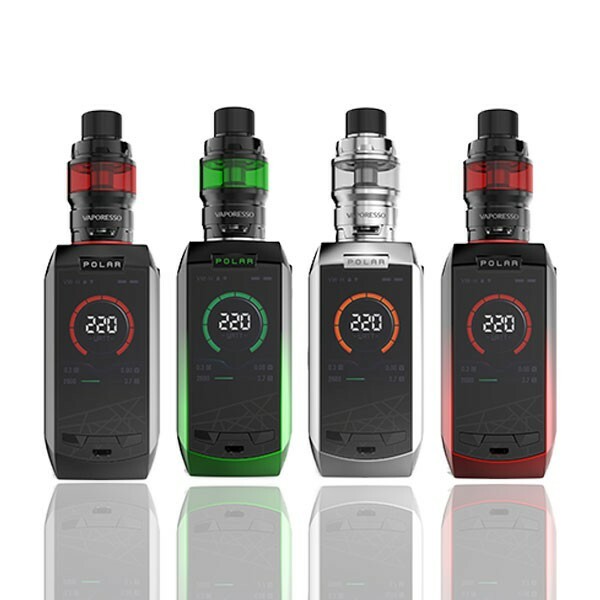 VAPORESSO Polar 220W TC Starter Kit is the newset edition of a mod by vaporesso. 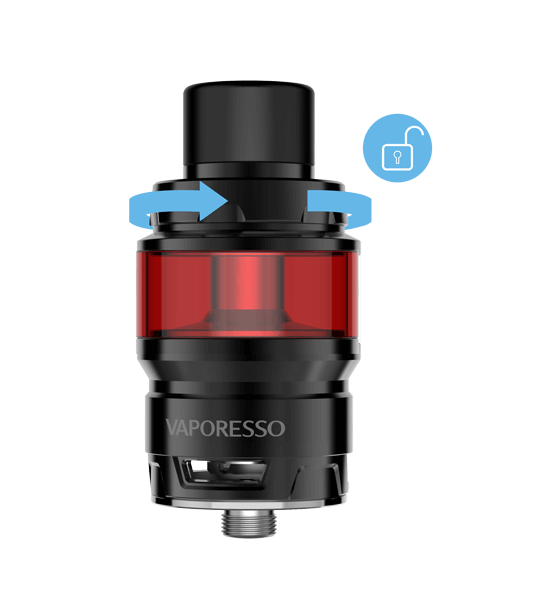 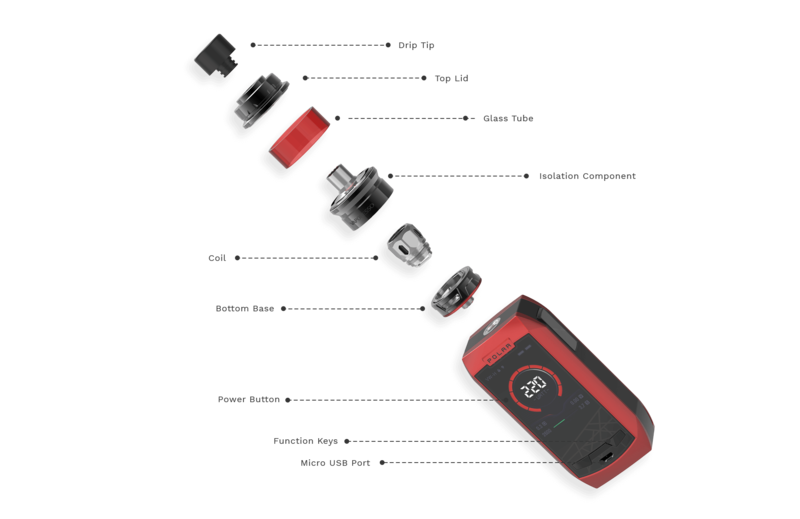 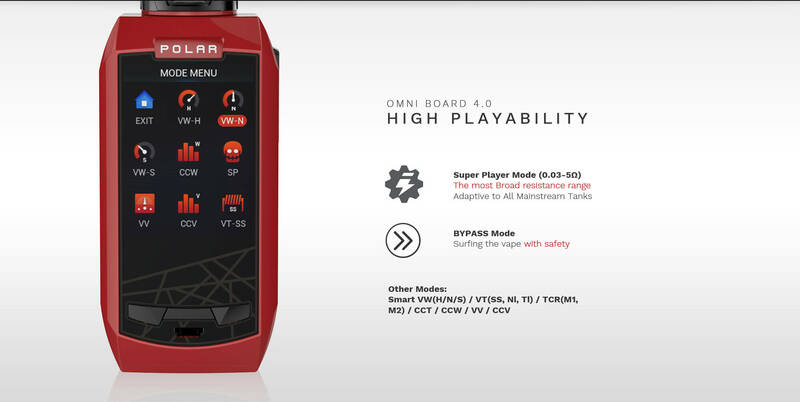 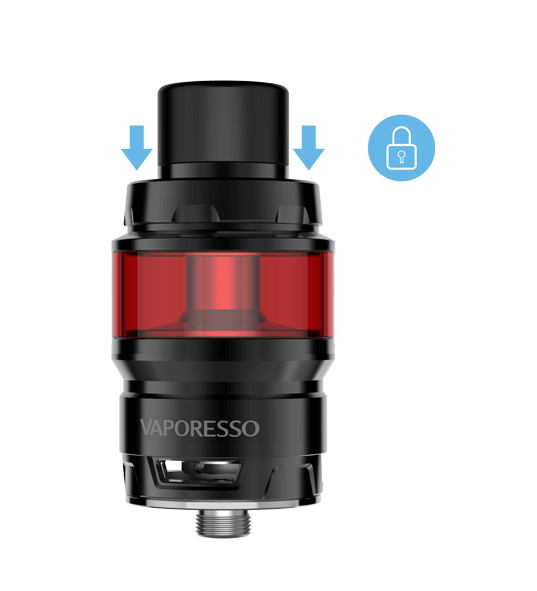 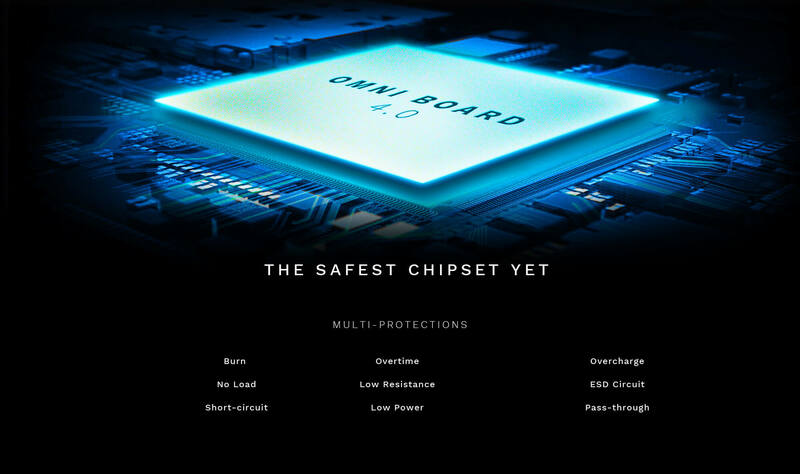 It utilizes the CASCADE Baby SE Sub-Ohm Tank and latest OMNI Board 4.0 chipset. 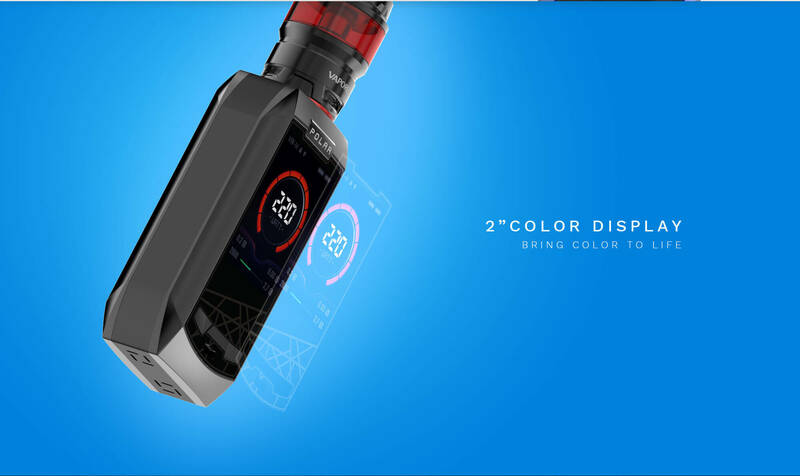 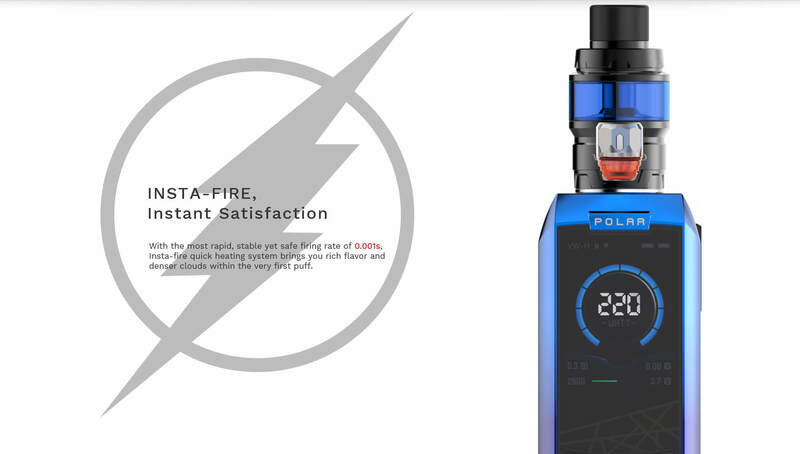 The Polar 220W TC Box Mod has a 5 to 220W output range, a 0.03 to 5.0 ohm atomizer resistance range, and several output modes, two of which include: Customized Curve of Wattage (CCW), Customized Curve of Temperature (CCT), and Customized Curve of Voltage (CCV) giving the device much functional versatility. 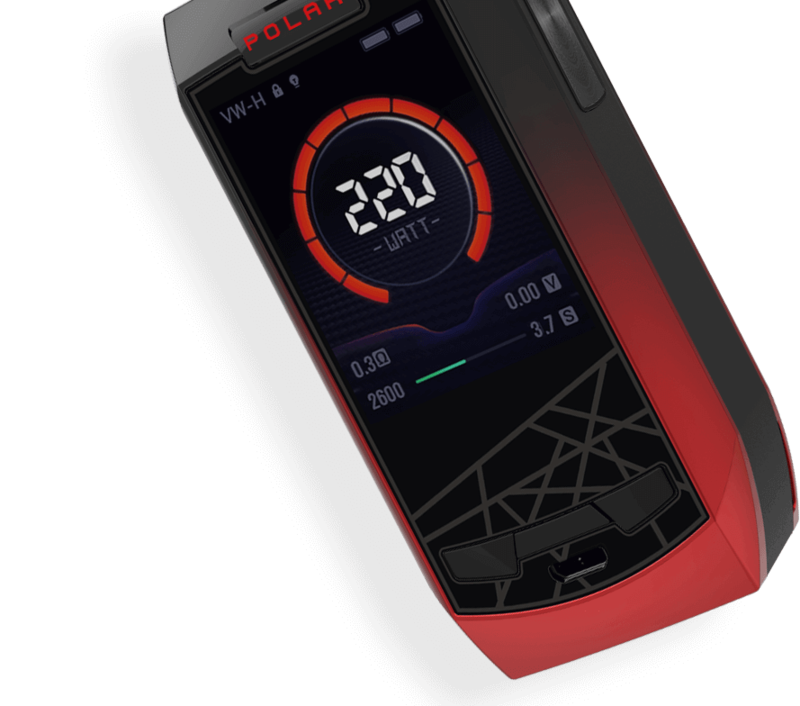 The Polar 220W TC device is powered by two 18650 batteries (sold separately) which can be accessed via the magnetized battery door. 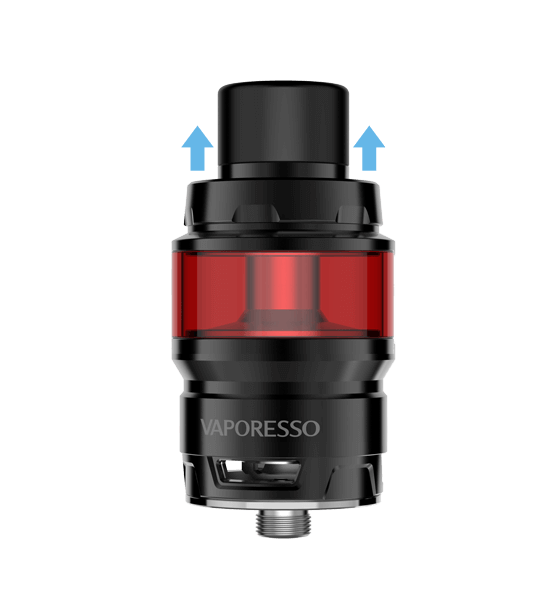 The Cascade tank uses three air flow slots to produce a smoother denser cloud. 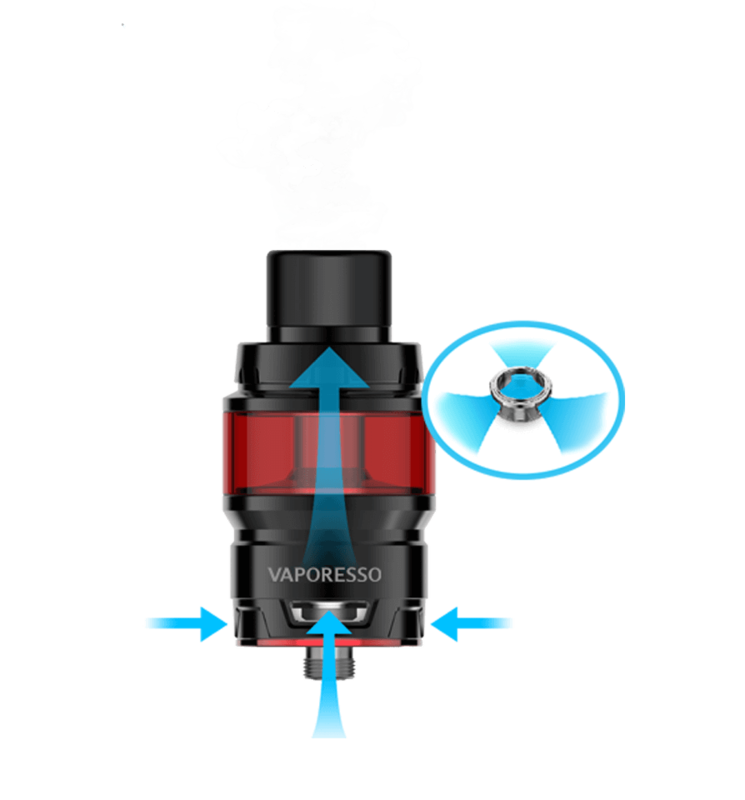 Its Isoloation structure separates the coil and juice chamber, allowing consistent, intense flavors with every puff.